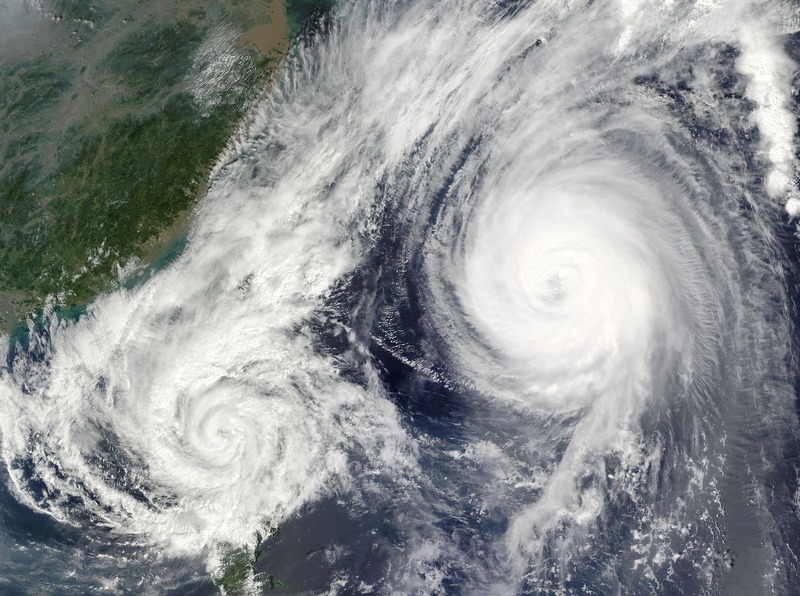 Using the power of Japan’s K computer, scientists from the RIKEN Advanced Institute for Computational Science and collaborators have shown that incorporating satellite data at frequent intervals—ten minutes in the case of this study—into weather prediction models can significantly improve the rainfall predictions of the models and allow more precise predictions of the rapid development of a typhoon. Weather prediction models attempt to predict future weather by running simulations based on current conditions taken from various sources of data. However, the inherently complex nature of the systems, coupled with the lack of precision and timeliness of the data, makes it difficult to conduct accurate predictions, especially with weather systems such as sudden precipitation. 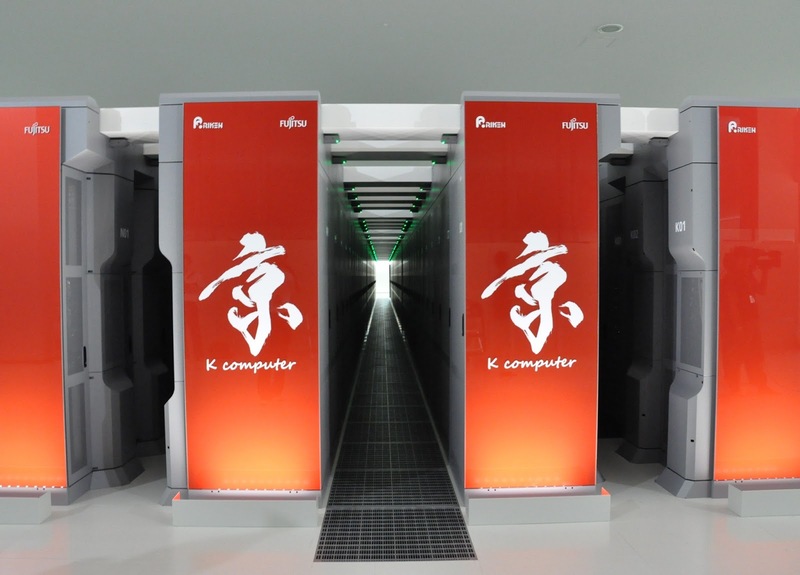 As a means to improve models, scientists are using powerful supercomputers to run simulations based on more frequently updated and accurate data. The team led by Takemasa Miyoshi of AICS decided to work with data from Himawari-8, a geostationary satellite that began operating in 2015. Its instruments can scan the entire area it covers every ten minutes in both visible and infrared light, at a resolution of up to 500 meters, and the data is provided to meteorological agencies. Infrared measurements are useful for indirectly gauging rainfall, as they make it possible to see where clouds are located and at what altitude. For one study, they looked at the behavior of Typhoon Soudelor (known in the Philippines as Hanna), a category 5 storm that wreaked damage in the Pacific region in late July and early August 2015. In a second study, they investigated the use of the improved data on predictions of heavy rainfall that occurred in the Kanto region of Japan in September 2015. These articles were published in Monthly Weather Review [N/A] and Journal of Geophysical Research: Atmospheres. For the study on Typhoon Soudelor, the researchers adopted a recently developed weather model called SCALE-LETKF—running an ensemble of 50 simulations—and incorporated infrared measurements from the satellite every ten minutes, comparing the performance of the model against the actual data from the 2015 tropical storm. They found that compared to models not using the assimilated data, the new simulation more accurately forecast the rapid development of the storm. They tried assimilating data at a slower speed, updating the model every 30 minutes rather than ten minutes, and the model did not perform as well, indicating that the frequency of the assimilation is an important element of the improvement. To perform the research on disastrous precipitation, the group examined data from heavy rainfall that occurred in the Kanto region in 2015. Compared to models without data assimilation from the Himawari-8 satellite, the simulations more accurately predicted the heavy, concentrated rain that took place, and came closer to predicting the situation where an overflowing river led to severe flooding. Previously covered, https://sciencesprings.wordpress.com/2017/01/24/from-jpl-caltech-nustar-finds-new-clues-to-chameleon-supernova/, but lacking the science paper, The cosmic baryon cycle and galaxy mass assembly in the FIRE simulations in MNRAS. It seems natural to assume that the matter from which the Milky Way is made was formed within the galaxy itself, but a series of new supercomputer simulations suggests that up to half of this material could actually be derived from any number of other distant galaxies. This visible-light image from the Sloan Digital Sky Survey shows spiral galaxy NGC 7331, center, where astronomers observed the unusual supernova SN 2014C . This phenomenon, described in a paper by group of astrophysicists from Northwestern University in the US who refer to it as “intergalactic transfer”, is expected to open up a new line of research into the scientific understanding of galaxy formation. Led by Daniel Anglés-Alcázar, the astrophysicists reached this intriguing conclusion by implementing sophisticated numerical simulations which produced realistic 3D models of galaxies and followed their formation from shortly after the Big Bang to the present day. The researchers then employed state-of-the-art algorithms to mine this sea of data for information related to the matter acquisition patterns of galaxies. Through their analysis of the simulated flows of matter, Anglés-Alcázar and his colleagues found that supernova explosions eject large amounts of gas from galaxies, which causes atoms to be conveyed from one system to the next via galactic winds. In addition, the researchers note that this flow of material tends to move from smaller systems to larger ones and can contribute to up to 50 percent of the matter in some galaxies. In the new study, NASA’s NuSTAR (Nuclear Spectroscopic Telescope Array) satellite, with its unique ability to observe radiation in the hard X-ray energy range — the highest-energy X-rays — allowed scientists to watch how the temperature of electrons accelerated by the supernova shock changed over time. They used this measurement to estimate how fast the supernova expanded and how much material is in the external shell. Anglés-Alcázar and his colleagues use this evidence, which is published in Monthly Notices of the Royal Astronomical Society [See above], to suggest that the origin of matter in our own galaxy – including the matter that makes up the Sun, the Earth, and even the people who live on it – may be far less local than traditionally believed. “It is likely that much of the Milky Way’s matter was in other galaxies before it was kicked out by a powerful wind, traveled across intergalactic space and eventually found its new home in the Milky Way,” Anglés-Alcázar says. The team of astrophysicists now hopes to test the predictions made by their simulations using real-world evidence collected by the Hubble Space Telescope and other ground-based observatories.